We provide a full range of year round cottage cleaning services in the heart of Muskoka. Let us take the work out of your weekend! We want all of our guests to enjoy the perfect Muskoka stay. With that belief, we provide complete cleaning services to Muskoka residents and visitors. 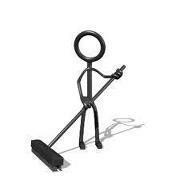 Our cottage cleaning service is tailored to each clients lifestyle, requirements and requests. With customization we can maintain your budget and provide as little or as much service as you require. We also provide spring cleaning, deep cleaning, professional window cleaning and pressure washing. Carpet and upholstery cleaning. Open and closing vacation homes and cottages. Arrive to your cottage already cleaned - just unpack and enjoy! We supply all the equipment and supplies with no charge for travel. It doesn't stop at cottage cleaning! Have your fuel and alcohol already waiting at the cottage! The possibilities are truly endless. Property Maintenance Programs Muskoka: Gardening, development and maintenance. Lawn care and lawn maintenance. Property clean-up and maintenance. Fall property maintenance programs. Concierge Services Muskoka: We are dedicated to providing premium supports and streamlined concierge services to ensure our clients enjoy the perfect Muskoka stay. Our concierge services are tailored to reflect the aspirations of each guest and enhance the ambiance of their luxury Muskoka experience. Cottage Changeover Cleaning Service: We provide you with an email when we arrive at your cottage, providing details and reporting damage if any. Cottage cleaning services, barbecue cleaning and property maintenance. Beach and fire pits checks. Cottage Checks: Offered on and off season. Key holding supports and liaisons persons for contractors and other service providers. Detailed reports provided. Check out our social channels, where you can check out our team and jobs! 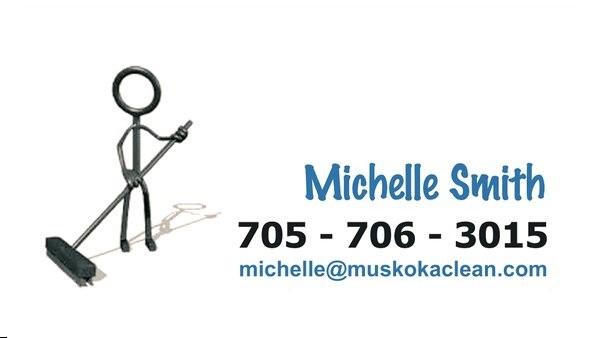 Twitter/Facebook/Instagram @muskokaclean Your Complete Cleaning Service in Muskoka! We focus our cottage cleaning service in Gravenhurst, Bracebridge, Huntsville, Milford Bay, Bala, Torrance, Baysville, Port Carling - Muskoka Lakes. Port Sandfield, Rosseau and Seguin. Request the same cleaner each visit! We supply all the tools and products! Ask us about packing and moving.